Barry was born, May 12, 1965 in Cincinnati, Ohio. Barry is passionate about helping others who are injured through no fault of their own. Barry finds fulfillment in watching accident victims physically recover and assisting them in gaining the compensation to which they are entitled. Throughout his legal career, Barry has helped thousands of injury victims recover money for their losses. Barry handles both small personal injury cases which are only worth a few hundred dollars, as well as large personal injury cases. Barry is a member of the multimillion dollar advocates forum having secured multimillion dollar results for his clients. Irrespective of the size of your claim, please know that Barry will listen to your questions and respond in a timely fashion. In fact, Barry encourages his clients to call and ask questions as he believes an informed client is a happy client and that all claimants deserve competent legal representation. Barry graduated locally from Finneytown High School in 1983. Barry went on to The Ohio State University where he earned a Bachelor of Science in Business Administration in Marketing, graduating in 1987. Upon completion of his Business studies at Ohio State, Barry was admitted to The Moritz College of Law at The Ohio State University which is a top rated national law school. In 2017, The Ohio State College of Law was ranked 30th nationally among peer institutions by US News & World Reports (https://www.usnews.com/best-graduate-schools/top-law-schools/ohio-state-university-moritz-03126). While attending law school at Ohio State, Barry helped support his wife and young son by working full time as a law clerk while in law school for a personal injury practice in downtown Columbus, Ohio. It was in these early years of law school education that Barry learned the field of personal injury and developed a passion for helping others. In 1990, Barry graduated from The Ohio State University law on his 25th birthday and passed the Ohio Bar Exam that summer. Barry was sworn in to practice law before the Supreme Court of Ohio on November 5, 1990. Initially, Barry began his professional career as a tax lawyer with the Columbus, Ohio office of Coopers & Lybrand. As such, Barry has experience in the field of tax law which has served him throughout his years of personal injury practice. Soon after starting his professional career Barry realized that tax law was not where he should devote his life and career. Barry wanted to help others recover for the wrongs caused by others. As such, in September, 1991 he established his own personal injury practice in Columbus, Ohio. Rothchild Law Office was opened on South High Street in German Village, Columbus, Ohio. 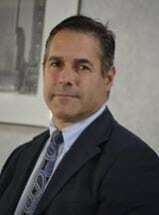 Barry practiced personal injury law in Columbus, Ohio through the summer of 1993 when he returned to his hometown of Cincinnati, Ohio to manage the original Rothchild Law Office which has existed in Cincinnati for decades. At the time, the Cincinnati office was being managed by Barry’s father, Eugene Rothchild. Currently, the Rothchild Law Office is located at the corner of Central Parkway and Race Street on the edge of Over-the-Rhine and is a continuation of the law practice which has been in existence for over 40 years. Of note, Barry has been managing the law firm for 24 years and has been practicing law for 27 years. In 2002, the law firm moved to its current home of 101 West Central Parkway. Shortly thereafter, a non-profit arts organization known in Cincinnati as MuralWorks approached Barry about using a wall of his West Central Parkway building for a community beautification project. Excited about the project, Barry offered Mural Works his entire building as a canvas for the student based beautification project. A decade ago, during the summer of 2007, high school students under the supervision of MuralWorks covered every paintable inch of the Rothchild Law Office’s exterior. The mural was dedicated in August of 2007 and sits directly across from the Cincinnati School for Creative and Performing Arts. With the addition of this Mural to the exterior of the building, Rothchild Law Office is easily identifiable in the community and easily found in downtown Cincinnati. Further, Rothchild Law Office is now on the Cincinnati Street Car line as this project was completed in 2016. Barry lives in Blue Ash, Ohio with his wife, Dawn. Barry has three sons. Barry, his wife and their boys are all dedicated Ohio State Buckeye fans. Barry and his family routinely travel around the county to watch the Buckeyes on the gridiron. The fondness of Barry’s family for OSU has passed from generation to generation as Barry’s oldest son has joined his wife and Barry as an alumni of The Ohio State University having graduated Ohio State in the Class of 2012. When not working on client cases, Barry likes to workout and ride his bicycle. Barry enjoys physical activity including organized road races and modified triathlons and has participated in half marathons. Barry enjoys reading and spending time with his dogs. His family calls homeless dog’s family members and Barry routinely brings his dog Millie with him to work. When winter arrives, Barry can be found taking trips to the Rocky Mountains to find deep powder and a nice downhill. Barry also enjoys wine. He loves to experience new grapes, blends, labels and taste. Barry can easily be engaged in a conversation concerning this passion.